Buildings are not built like they used to be. Today there are more reported problems occurring from water infiltration and dampness around homes, offices, and commercial and industrial buildings. Philadelphia Carpet Cleaning's mold and mildew cleaning services can help you combat these problems and ensure your building's and inhabitant's safety. We are committed to eliminating any risk of mycotoxins and allergens developing and spreading around your home or office. Once mold spores are air borne they can carry disease and expose breathing problems and other allergies that are normally under control. It is very important to deal with mold whenever you see it arising in your home or office. Make sure to keep a close eye when cleaning your carpets by looking for damp and wet spots to avoid mold infestation. Mold removal is not an easy or even safe job and should only be attempted by professionals. Mold spores are very active and as soon as they are airborne can move around a home without the occupant being aware of it, causing even more damage. Even if there was no previous dampness or wetness in an area, these spores can land and create a moldy area. There are number of special techniques employed by Philadelphia Carpet Cleaning consultants to ensure the clean and efficient removal of all molds. 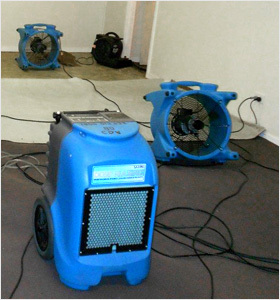 Any mold or dampness that arises in a house or office needs to be dealt with immediately. Philadelphia Carpet Cleaning services offers an immediate response to any queries and we will send our consultants over within hours, if not less, to deal with the problems. We use state of the art equipment and cleaning agents which are environmentally friendly. All our technicians are insured and wear protective clothing when dealing with mold issues. You can be sure of your satisfaction when using Philadelphia Carpet Cleaning otherwise we'll redo the service or refund your money.